This bread is so good. So, SO, good. Though it's made with chocolate, it's not really sweet. We ate some of it plain and I used the rest to make Dave baked French toast. This is definitely I recipe I want to make again. Instead of chocolate chips I used cacao nibs--which I adore. They added extra chocolate flavor and a nutty crunchiness. I think using chocolate chips would have made the bread a little too dessert like. I also left off the turbinado sugar and the heavy cream. The recipe is from The Back in the Day Bakery Cookbook. After it has rested, add the cubed butter and salt to the dough and mix on medium speed until the dough comes together and the sides of the bowl are clean, about 5 minutes. The dough will develop a satiny sheen. Turn the speed to low, add the bittersweet chocolate chips, and mix until incorporated, 1 to 2 minutes. Sprinkle 2 tablespoons of the turbinado sugar over the bottom of a 10-by-5-inch loaf pan. Turn the dough out onto a lightly floured surface and gently roll the dough up into a log. Place seam side down in the pan. Cover the pan loosely with plastic wrap and let the dough rise again until doubled, about 1 1/2 hours. Position a rack in the middle of the oven and preheat the oven to 350F. When the dough has risen, gently brush it with the heavy cream. Sprinkle the top with the remaining 2 tablespoons of turbinado sugar. Bake for 30 to 35 minutes, until the sugar on top is caramelized. Let the loaf cool for 30 minutes, then remove it from the pan and let it cool completely on a wire rack. Wrapped in plastic wrap, the bread will keep at room temperature for up to 2 days. Looks great! I would so love to try some. I reckon it would make the perfect morning tea. 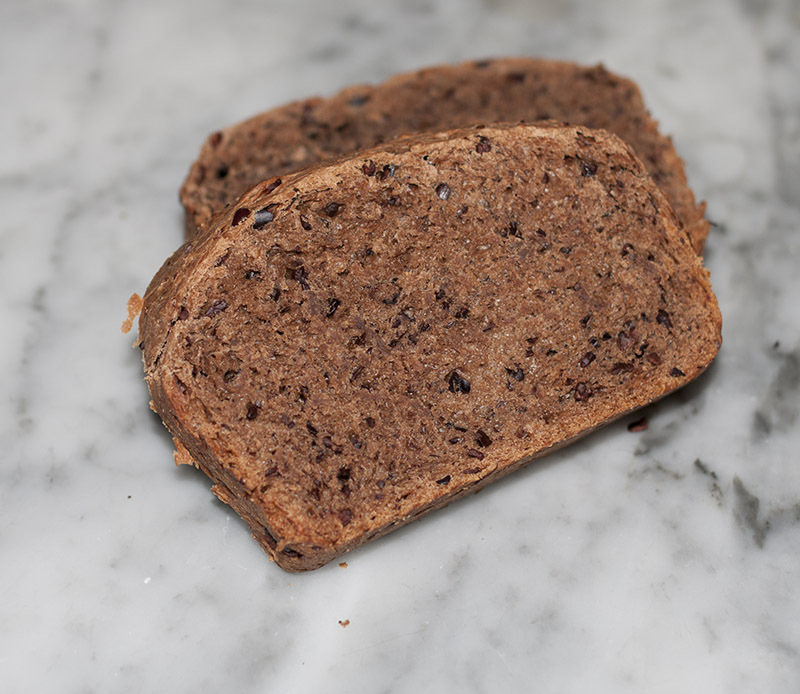 I've often wondered about chocolate yeast bread; now it sounds like something I need to try. I don't think I even noticed this recipe in the cookbook!